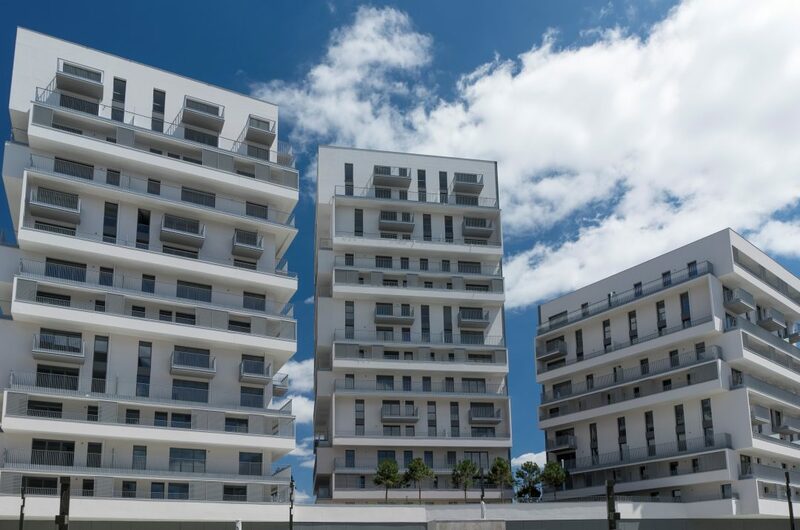 Massy is one of the most dynamic places of the metropolis in terms of development. With its train station, the city is one of the 3 major gates of the future metropolis. Every day, millions of users arrive and leave from this essential junction in the road and rail networks (citywide, region wide and nationwide). 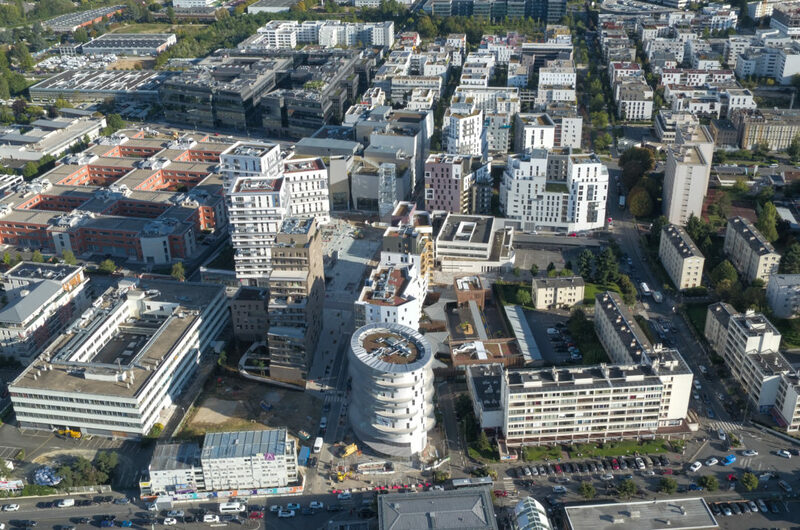 Around the station and the future «place du Grand Ouest» will converge all the activities of a big city center. 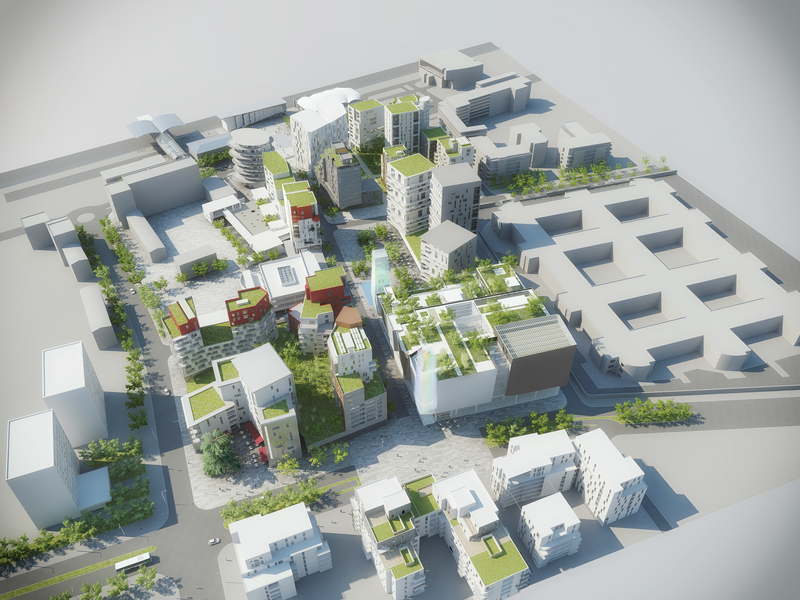 The district’s urbanism has been planned by Jean Chéron and is organized around the theme of the street and the square, structuring the places and establishing a hierarchy. 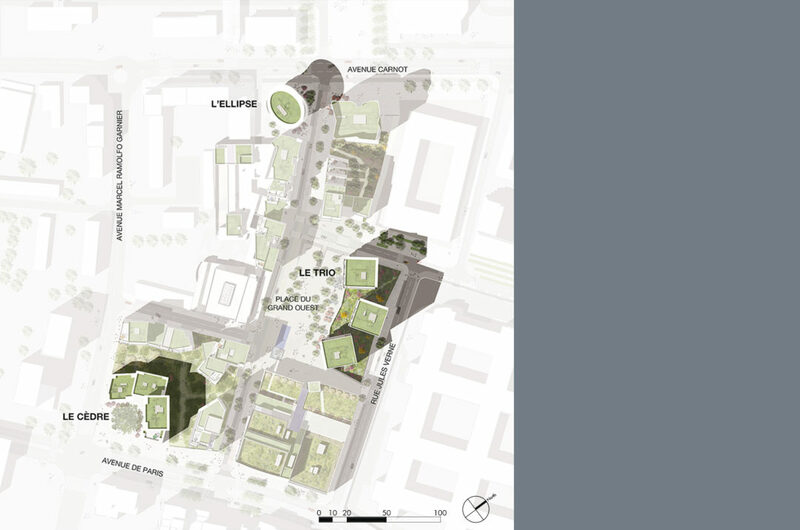 From the station to the rue de Paris, 4 squares follow one another in order to create a coherent and flowing urban centrality. 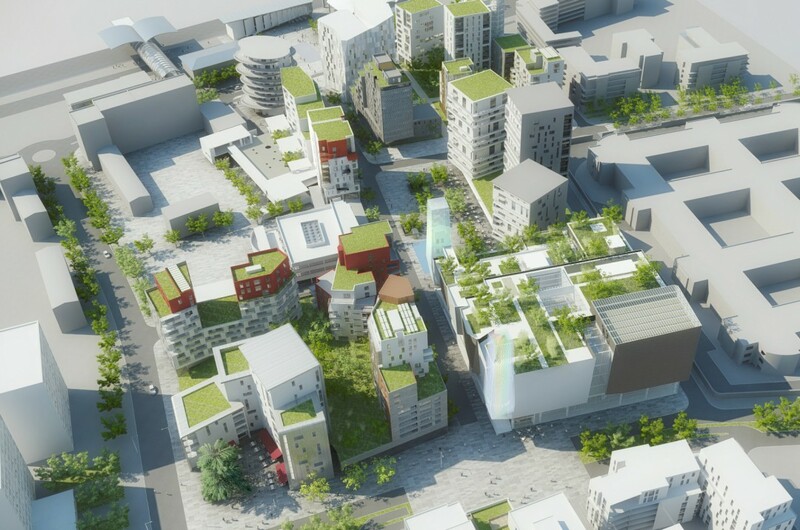 The district is thus punctuated with outstanding public places visible from anywhere on the site. The unity of the materials and the lighting used in these places give an identity to this central area. 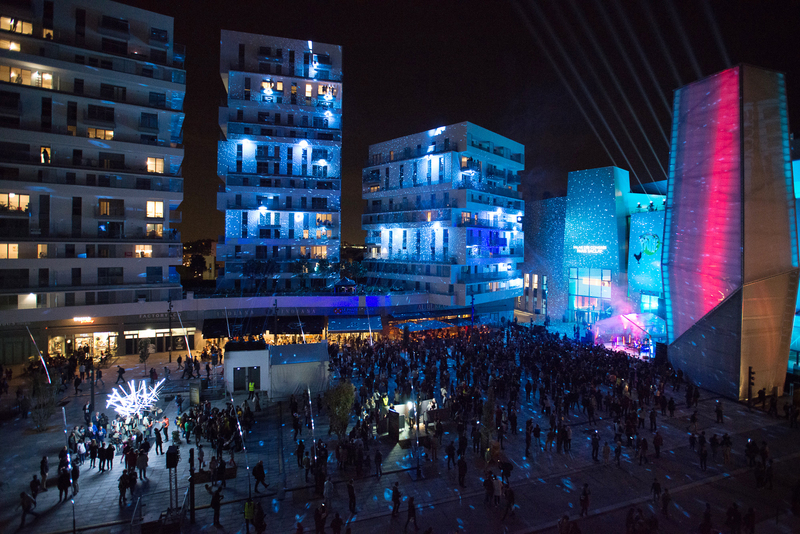 The program of the project (housing, shops, services, Congress Center, hotel and cinema) offers the possibility of an architectural diversity and a mixing of activities and rhythms, all necessary to urban life. This diversity is balanced by the harmony of the colors and materials, allowing to maintain a great consistency all over the district. The search for simplicity and rigour makes each building unique and at the same time in total harmony with the whole, in a diversity of signatures. Throughout the project, we propose innovative devices fostering social life, by their urban structure and their architectural composition. 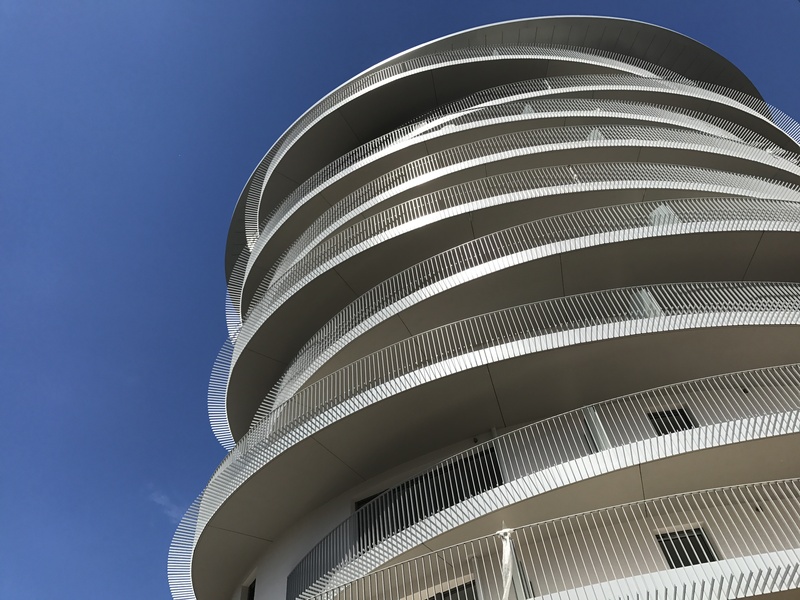 The development of a local life, a network of neighbours bring to this new city center a new conviviality. 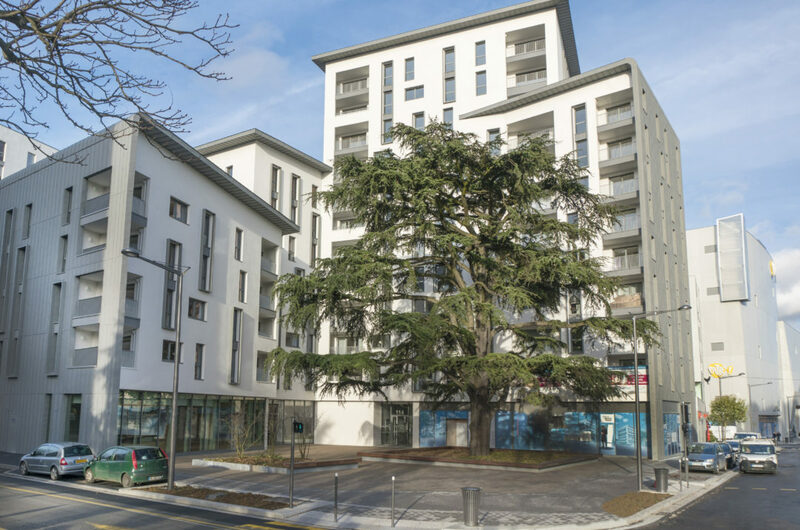 We developed in the center of the housing blocks (the Cèdre and France Télécom) different kinds of communal places. 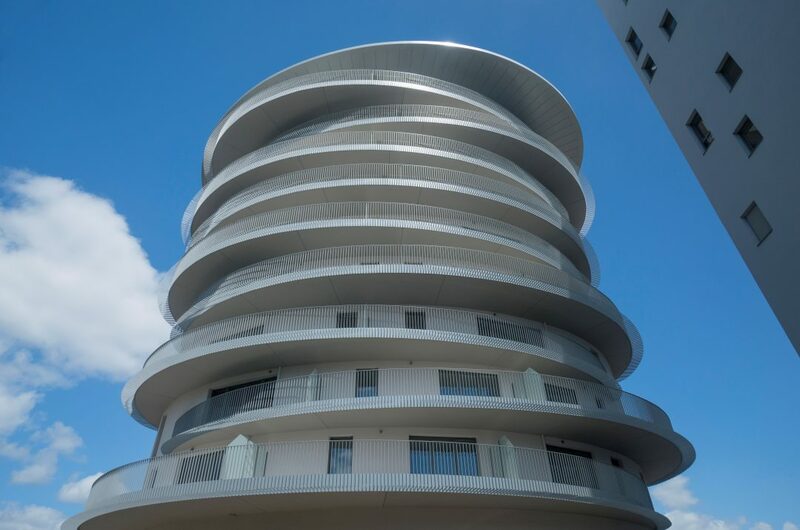 These spaces encourage the practice of various activities (music, painting, gardening…): the residents discover new living spaces outside their apartment, allowing them to build relationships through sharing common interests. Construction of housing buildings, a hotel, a school, commercial establishments (shops…), cinema, a center of congress.